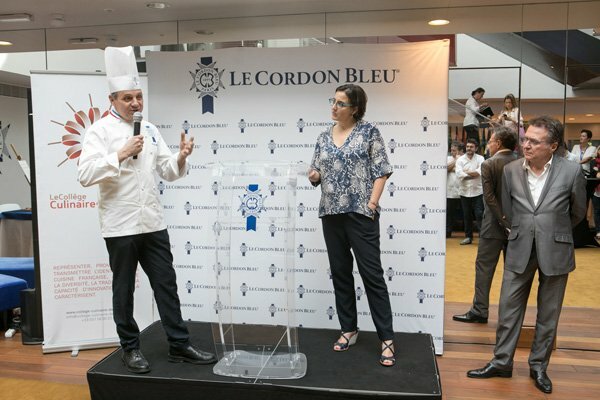 Paris, 7 June 2018 – Le Cordon Bleu Paris institute, the leading Global Network of Culinary Arts and Hospitality Management Institutes, has become one of the first training establishments to sign the Charter, which was instigated by the Collège Culinaire de France and is aimed at hospitality and cuisine schools. This commitment underlines the Institute’s desire to encourage future chefs and restaurant managers to work hand in hand with producers for quality, healthy and sustainable cuisine. The signing took place today at Le Cordon Bleu Paris institute, under the patronage of the founders of the Collège Culinaire de France, and in the presence of Quality Producers/Artisans. Henceforth, the institute will ensure that learning about choosing seasonal produce, and using it exclusively, becomes a permanent feature in training programmes. Throughout the year, producers from the Collège Culinaire de France will come and present their products, and explain how they work, to students. Amongst the points featured in the Charter is the fight to reduce food wastage, particularly the importance of teaching preservation techniques (salting, fermenting, deep-freezing) for large quantities of products in order to transform them into “preserved seasonal produce”. An awareness of the importance of respecting the seasonality of food will encourage the chefs and managers of the future to work towards promoting cuisine which is ever more demanding in terms of nutritional properties, and is also environmentally friendly. Making seasonal cuisine a standard must begin with awareness on the part of professionals, and continue with transmitting it to future generations. This is why the Collège Culinaire de France is asking hospitality and cuisine schools to make a commitment, alongside them, to progressively integrate learning about quality seasonal produce in the long-term. Heightening the awareness of students and making them accountable, introducing them to professionals, reconnecting them with the land and artisan practices, to be able to understand the importance of taking time and, above all, realize that behind every product lies a man, a woman, a story, is fundamental. 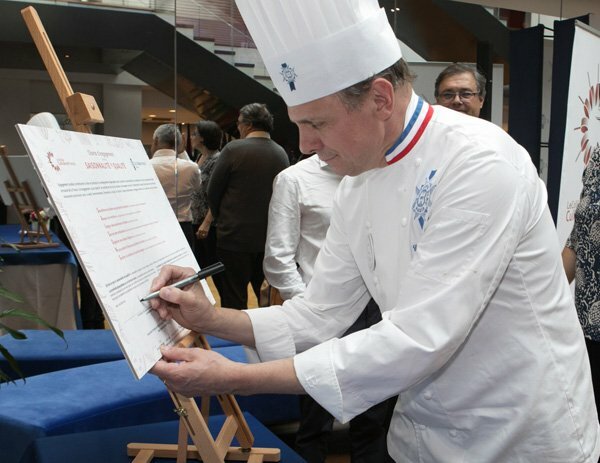 « “The Collège Culinaire de France has decided to help schools showcase their key initiatives and motivate them to commit to continuously improve the restaurant/producer relationship in the long-term: achieving a closer working relationship between professionals in schools and the cuisine and restaurant profession also enables a long-term approach to be taken in dealing with the problem of recruiting quality professionals of the future.” added Célia Tunc, Secretary General of the Collège Culinaire de France. Many students who have been trained do not go on to work in the restaurant profession, despite 50 000 jobs remaining unfilled every year. Seasonality can also act as a lever for encouraging youngsters to get involved in the profession. Did you know? 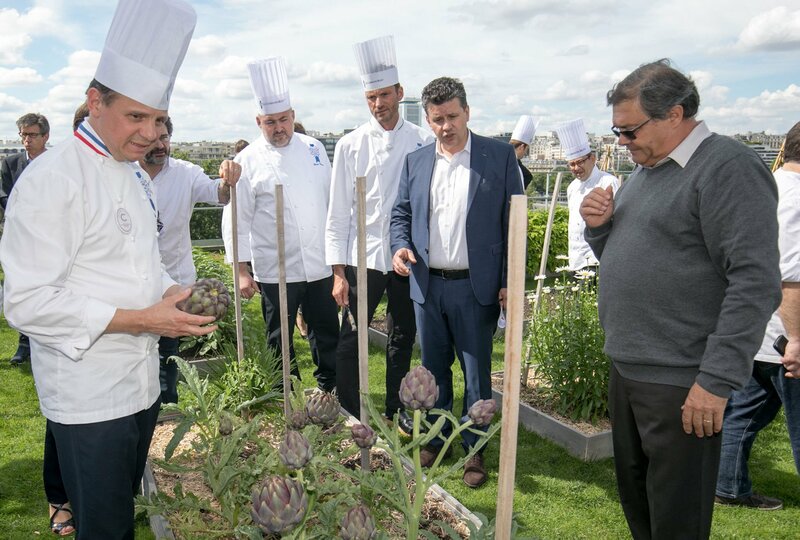 The roof of Le Cordon Bleu Paris institute has been transformed into an organic vegetable garden measuring over 800 m², making it one of the largest in Paris. The garden is energy autonomous: the heat from the kitchen hoods is collected and used to heat the green house, a rainwater tank enables the garden to be watered and several composters supply fertilizer. The garden gives students the opportunity to discover how fruit, vegetables, herbs and edible flowers are grown in an urban setting and also provides some of the fresh ingredients for cuisine lessons and Le Café Le Cordon Bleu. The roof’s beehives supply the Institute’s honey.